Health supplement brand Sun Chlorella ranked high in search for brand-specific terms. However, Pan Galactic knew that ranking for non-branded terms would help the company increase online sales by reaching consumers searching for top-of-the-funnel queries. Pan Galactic developed a new and improved SEM program and SEO strategy after careful analysis of Sun Chlorella’s business goals and marketing status. 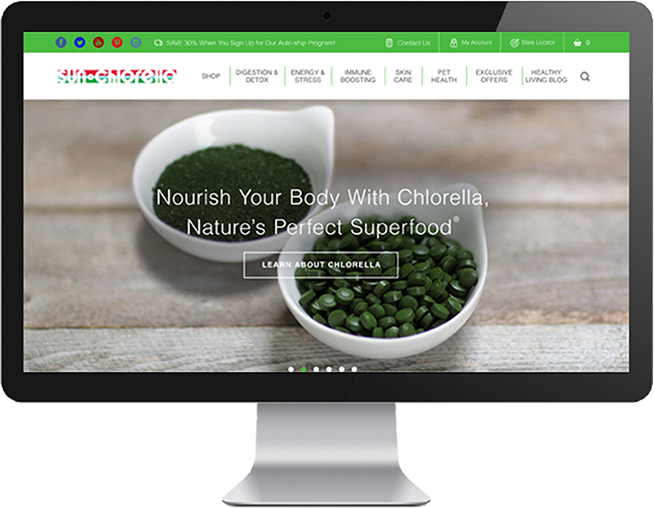 The strategy focused on creating content around the benefits of chlorella in order to capture traffic of those searching non-branded product benefit queries such as body detox, improved digestion, natural health, etc. A content strategy was developed that supported SEO and social media; partnership with key health industry influencers and bloggers expanded reach.